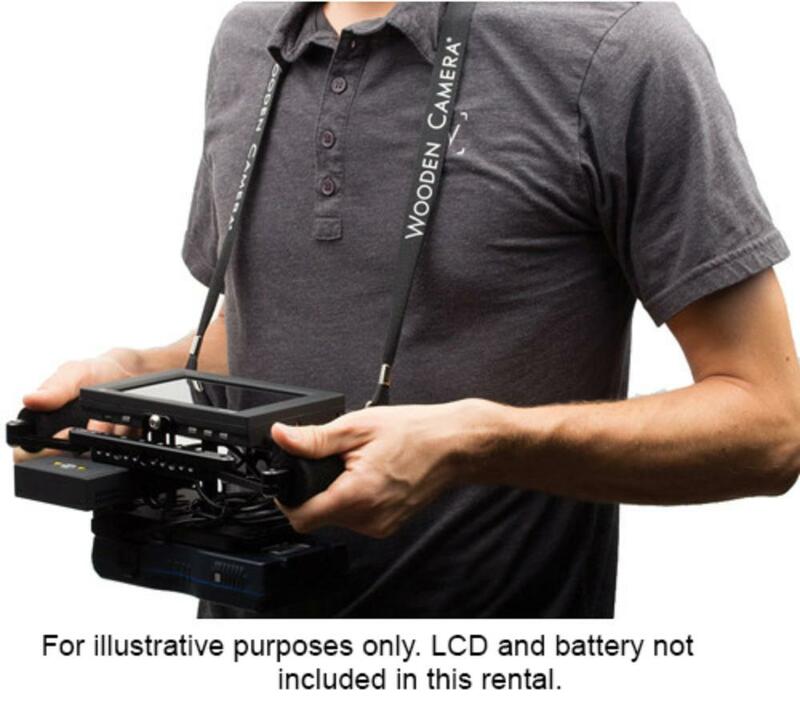 The Wooden Camera Director's Monitor Cage is designed for LCD monitors and recorders and sports a battery mounting bracket for both V-mount and Gold mount. 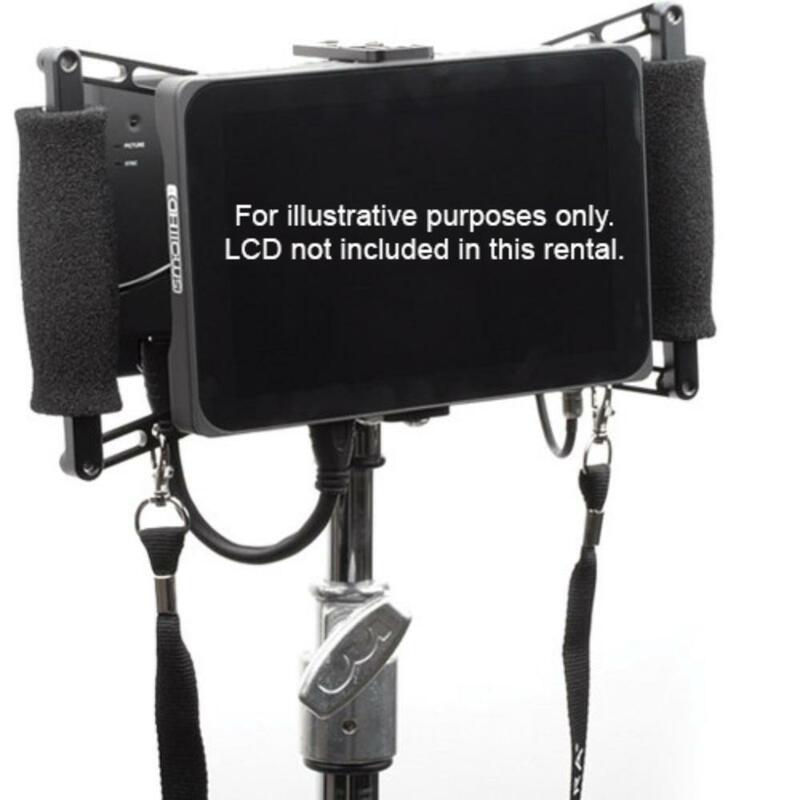 This cage provides stability, ergonomics, and mounting versatility for your on-set display/recorder and is ideal for documentarians, narrative filmmaking, studio shooting, and sets large and small. 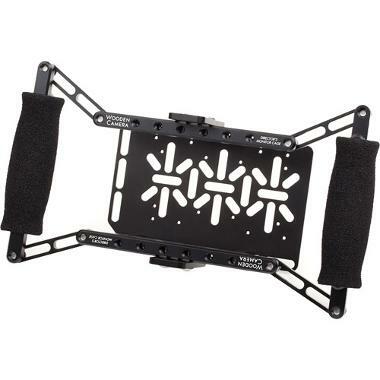 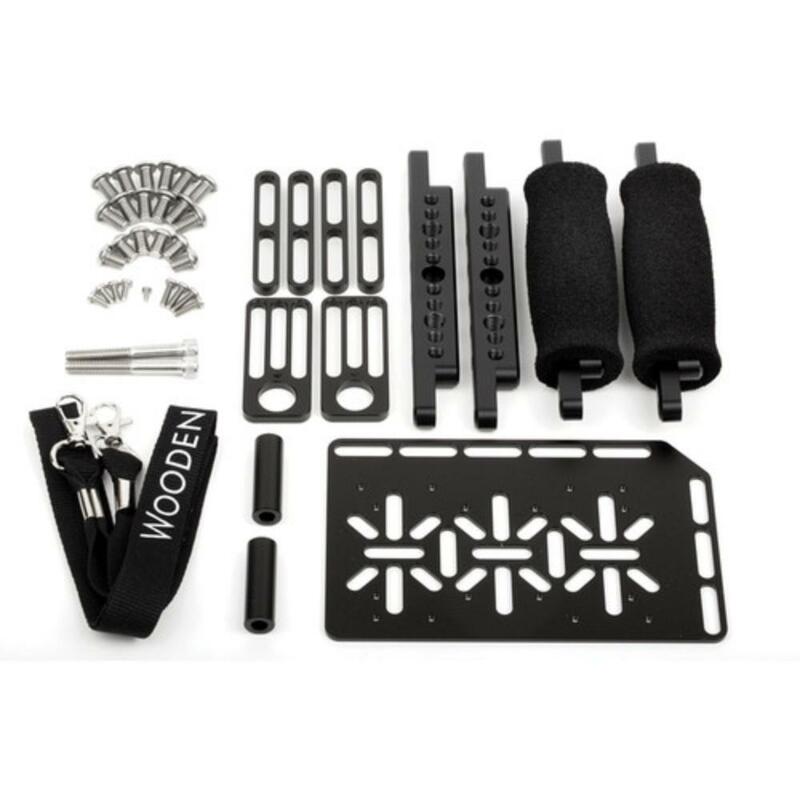 This cage is compatible with, but not limited to, the following: SmallHD - DP4, DP6, AC7, DP7; TVLogic - VFM-056W/WP, VFM-058W; Ikan - D5, VK7i, VH8, VL5, VX9e; Odyssey - 7, 7Q; Atomos - Samurai, Ninja, Shogun.